Maryland, wonderful land, is known for historic monuments, regal museums, diverse cultures, modern attractions and friendly people. It is one of the best holiday destinations where travelers from all over the world come to explore its wonderful attractions. 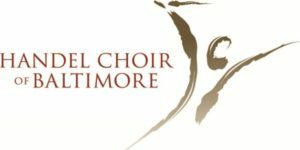 During your trip to this wonderful land, you can also attend many interesting events like The Handel Choir of Baltimore Presents: Celebrate Transcendence that will take place on Sun, November 18, 2018 at Church Of The Redeemer. In this event, you will enjoy sacred music and great solitary performances. The icing on the cake is that there is no dearth of lavish lodgings in this area where you can sojourn with great comfort and full pleasure during your holidays. Comfort Inn is one of the top-rated hotels in Oxon Hills, Maryland where holidaymakers can stay with great comfort and pleasure throughout the trip. It has numerous smoking and non-smoking rooms which are fully equipped with lots of amenities and some of them are hair dryer, iron and ironing board, microwave, coffee maker, and refrigerator. All the rooms of the hotel are also equipped with LCD HDTV- Free cable connection with HO and high speed wireless internet connection for the full entertainment of the guests. What’s more, facilities like pay-per-view movies, blackout drapes (curtains), sewing kit, radio/alarm clock, wake-up service and phone for hearing impaired are also rendered by the hotel for the full comfort of the customers. If you want to know more about the hotel services, then simply navigate through our user-friendly website today!